During the past 24 hours, Russian-terrorist troops opened fire several times at the front line (once from AGS-17 grenade launchers, once from 82 mm mortars, and on multiple occasions, from small arms). 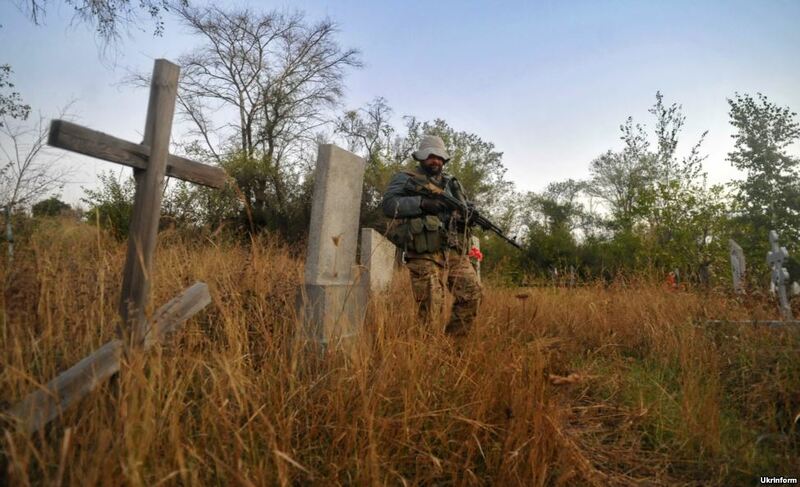 No infiltration attempts by sabotage and reconnaissance groups were recorded; however, militants continue to surveil ATO positions from the neutral zone along virtually all sections of the demarcation line. Specifically, terrorists opened fire from automatic small arms (including 3-4 machine guns) and an automatic AGS-17 type grenade launcher in the vicinity of the DAP [Donetsk Airport] from the direction of Veseliy and Spartak. Ukrainian positions near the Donetsk circular highway (near Opytne) were shelled, as well as advanced positions near Pisky. Small arms fire and several shots from 82 mm mortars in the direction of Ukrainian advanced positions were also recorded in the area of Starohnativka (the projectiles landed in the neutral zone). Unaimed volleys of small-arms fire were recorded in the vicinity of Novoluhanske and Zaitseve. Militant armored vehicles (several BTR-80 APCs) were seen moving along the front line during the firing. Sniper attacks on ATO forces’ positions were renewed in the areas near Mar’inka, northeast of Shumy, south of Popasna, near Shchastya, and on the stretch between Shyrokyne and Zaichenko. Northwest of Telmanove (near Shevchenko and Oktyabrske), a militant armored group (5 tanks and two BMP-2 infantry fighting vehicles) was reported moving along the front line towards the northern region of operation. Terrorists transferred four 122 mm Grad BM-21 MLRS towards Lutuhyne from the direction of Krasniy Luch. Tanks (T-72M) are being transferred towards Donetsk through Shakhtarsk, on board of trailers. Traces of rubbed-off board numbers and tactical symbols are visible on the armored vehicles. On the instructions of its Russian supervisors, the “Ministry of Information, Press and Mass Communications of the Luhansk People’s Republic [LNR]” has monitored analog TV channels and cable providers currently broadcasting in the occupied territory of Luhansk and Donetsk oblasts. 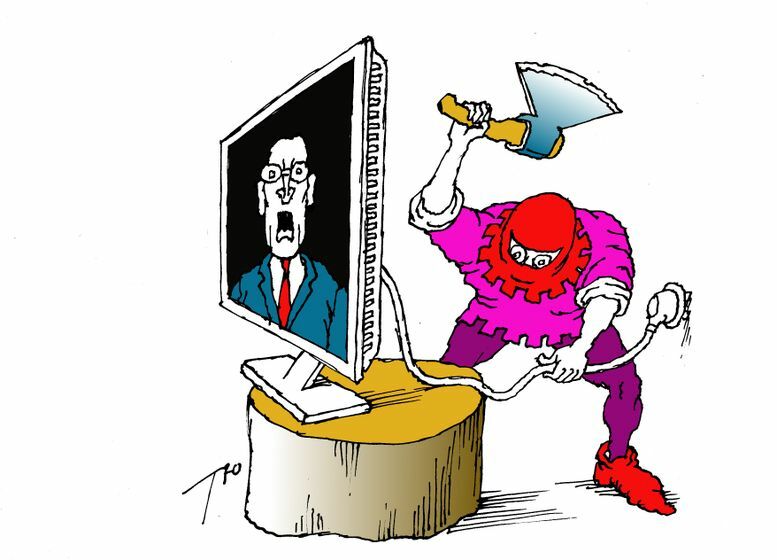 The monitoring revealed that the following Ukrainian TV channels are being broadcasted: K1, K2, Evro News [Euro News], M1, Donbass (Antratsyt, Krasnyi Luch), Реrshyi Natsionalnyi [First National Channel, state-owned] (Alchevsk), LOT (eastern districts of Luhansk, Stanychno-Luhanskyi district). The “LNR” leaders believe that channels broadcast “pro-Ukrainian propaganda” that “discredits” the LNR-DNR terrorist organizations. This situation was brought up for discussion by the “LNR Council of Ministers.” The resulting decision of the discussion was an outright ban on broadcasting of any Ukrainian TV channels by cable operators. [Cable] providers who fail to comply would be held criminally responsible. At the same time, the “LNR Council of Ministers” sent a letter to the Ministry of Communications of the Russian Federation, requesting installation of more powerful TV transmitters on the “LNR/DNR” territory to broadcast Russian TV channels on the frequencies used by Ukrainian TV channels. Source: Dmitry Tymchuk FB, (1), (2).